Thanks to our good friend Kit Foster, member of the American SAH and honorary member of the SAHB, and thanks also to our own Anders Ditlev Clausager, we have an identification for these American vehicles. The GMT stands for General Motors Taxicab. The history of these vehicles started way back in 1908, when John Hertz (yes, THAT Hertz) started buying second-hand cars and turning them into taxis. By 1910 the company he worked for, the Walden W Shaw Livery Company of Chicago, had enough profit for Hertz to buy new Thomas cars from Buffalo. He painted them yellow to attract attention. Thomas then started to make their own vehicles, and in 1915 the Yellow Taxicab Manufacturing Company was born. 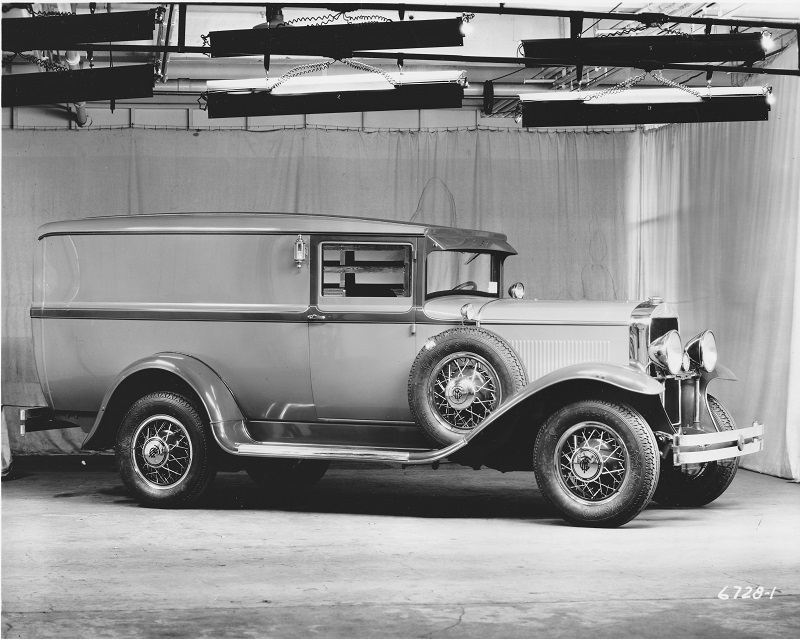 In 1925, John Hertz was in total control of the Shaw Company, and in that year Yellow merged with the truck division of General Motors. Soon after, John Hertz moved on to his next idea: renting cars rather than providing them for people to hail. In 1928, Yellow operations were moved to a new plant in Pontiac, Michigan. Overhead-valve Buick engines were used. 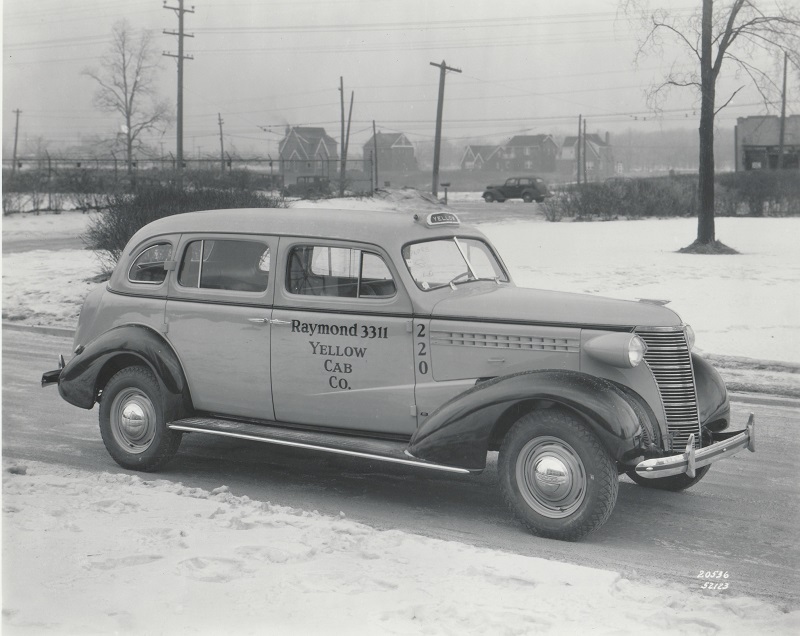 In 1930 the Yellow name was discontinued and, according to the Standard Catalog of American Cars 1805-1942, was replaced by General Motors Taxicab. Our pictures are dated 1929 on the back, so were probably early publicity photos for the launch of the new name. The story gets even more convoluted. 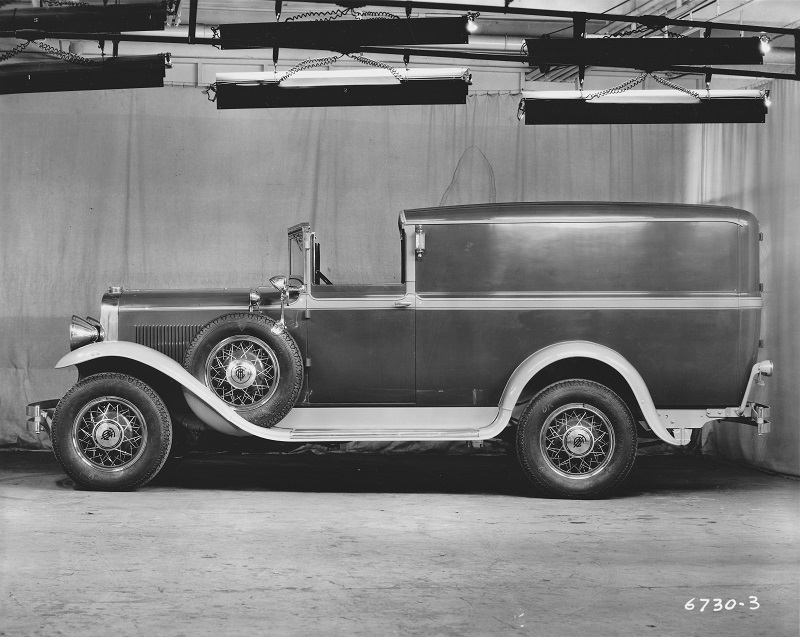 By 1936 the taxicabs used modified Chevrolet bodies on an extended chassis with Chevrolet truck rear axles. 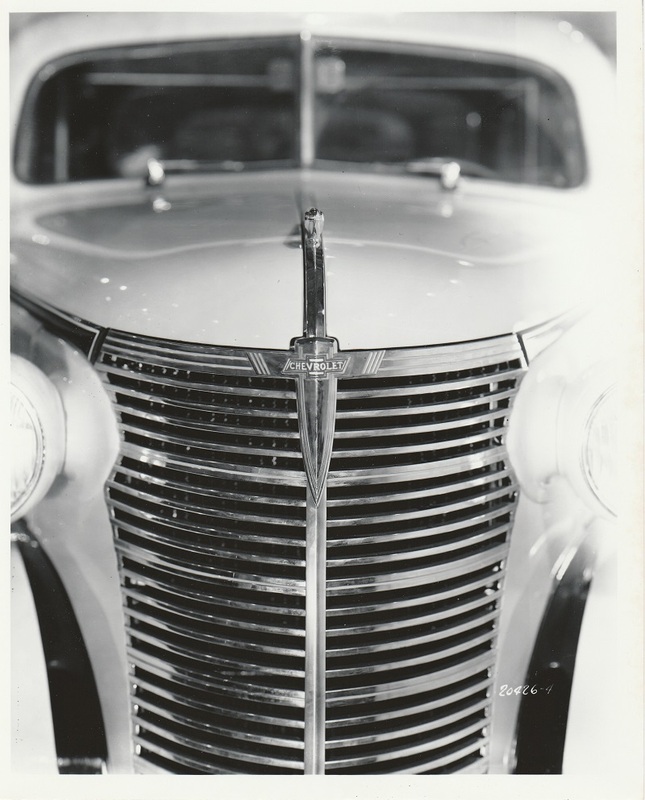 The engines were by now overhead-valve Chevrolet 6-cylinders. 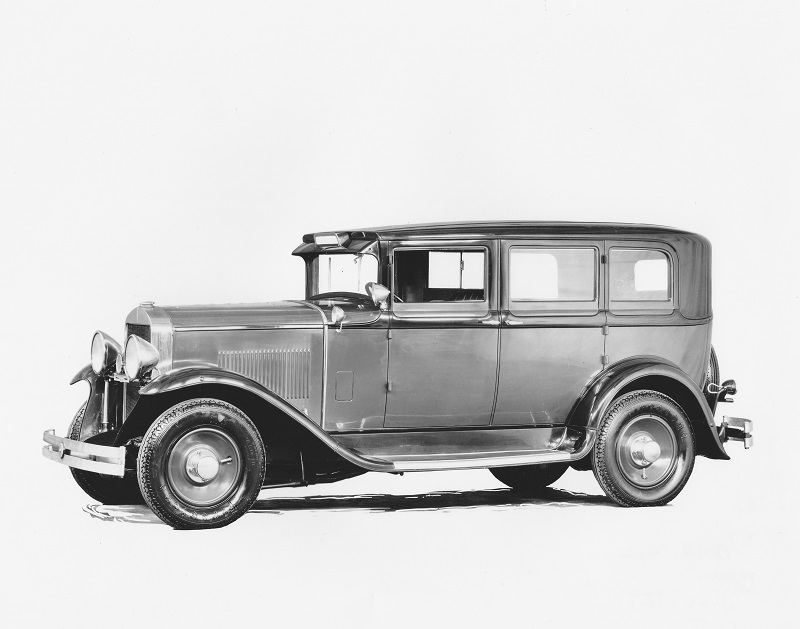 But from as early as 1932 onwards, the model names followed the year (although O- numbers had been around since 1922, but not strictly matching the year): O-12 in 1932, right through to O-18 in 1938. 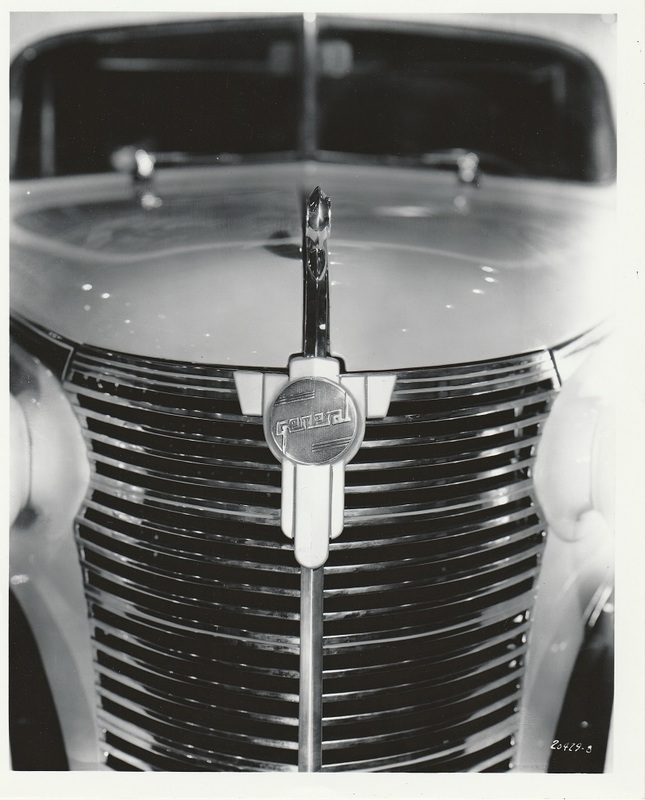 Which explains why we have three final photographs that we haven’t shown here before: the front view of a taxicab with a General badge; another front view with a Chevrolet badge; and a side view of a taxicab. And on the back of each one is written in pencil: “O-18”. So they are all 1938 taxicabs.